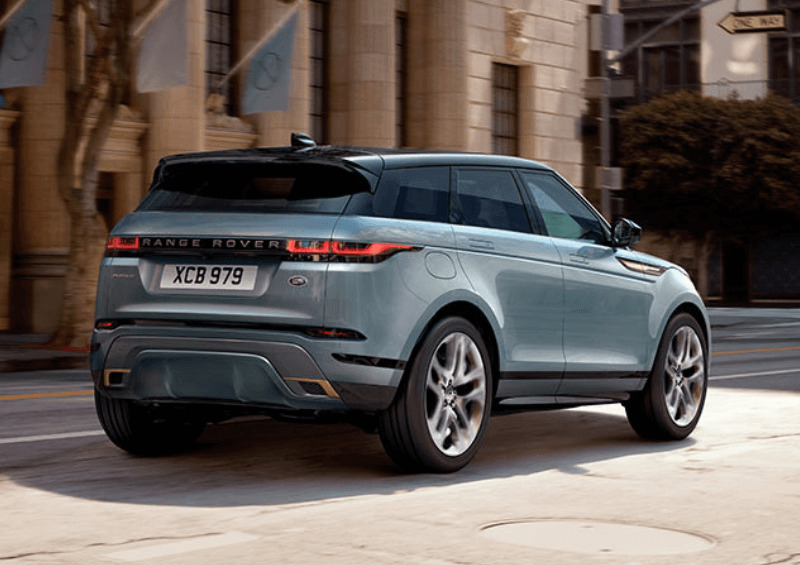 As if the Velar wasn’t enough, Land Rover is introducing its new baby – the new 2019 Range Rover Evoque. One of Range Rover’s marketing taglines for the new model is ‘Time to Make a Statement', and what better way to do so than to revamp the ‘old’ Evoque! 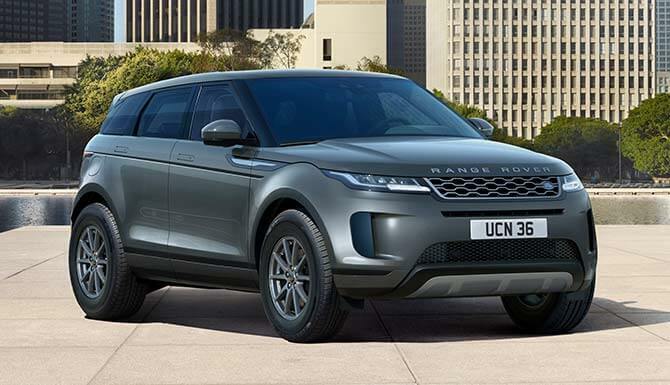 At Complete Leasing, the new Range Rover Evoque 2019 is ready to quote and order to lease! Get in touch with us today for more information. What is the Range Rover Evoque 2019? 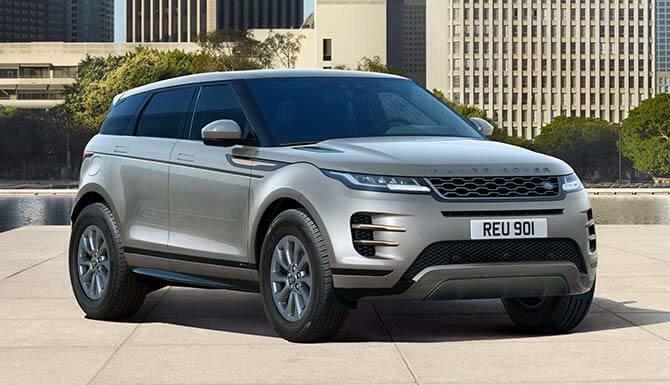 Range Rover Evoque 2019 Release Date and Cost: how much is it and when's it coming out? There’s good news for Evoque fans, existing owners and those who want to lease the new Evoque – this 2019 model is very similar to the previous one in terms of how it looks and feels, so there’s no need to feel left behind. The main changes are technological. The old Evoque has been out for 7 years and it has been nothing short of a huge success – over 750,000 were sold over the period and sales haven’t slowed down in its last year either. There’s no doubt that it is a highly influential car - it was so successful that its successors (the Range Rover Sport and Velar) took some of the Evoque’s design and marketing. So what of the new Evoque and its specs? While it remains similar to the old model, there’s plenty more sophistication - all over. Be able to spot all changes made to the new model – despite how subtle some may be. Range Rover’s designers and creators were determined to create a model that was clearly an Evoque, but unmistakably, a NEW Evoque. Congratulations Range Rover, you’ve done it! What is the New Range Rover Evoque 2019? Like the previous model, it is a premium, sturdy and luxurious SUV with 9 gears. Its rivals are the Audi Q3, the BMW X4 and the Mercedes-Benz GLC coupé. While we were given a 3-door coupé before, the new Range Rover Evoque is only available as a five-door. There is also no convertible version this time around. Most owners of the SUV tend to drive it in and around the city, but it is also a treasure for those going off-road in the country or into the depths of some foliage elsewhere. Some are calling it a ‘mini Velar’, as some details have been taken from the model (such as the LED headlamps, extended tail lights and door handles that pop out) – but we can only defend it and say that it stands alone in its own unique way. After all, the Evoque came first! The look of the new Evoque isn’t too far from the previous model – the facelift mainly involves a technological enhancement. Improvement can also be seen in the design and capability of off-road handling. As is familiar with Land Rover, the Evoque and Evoque R-Dynamic models also come in an entry-level, S, SE and HSE level – apart from the First Edition, which stands alone. 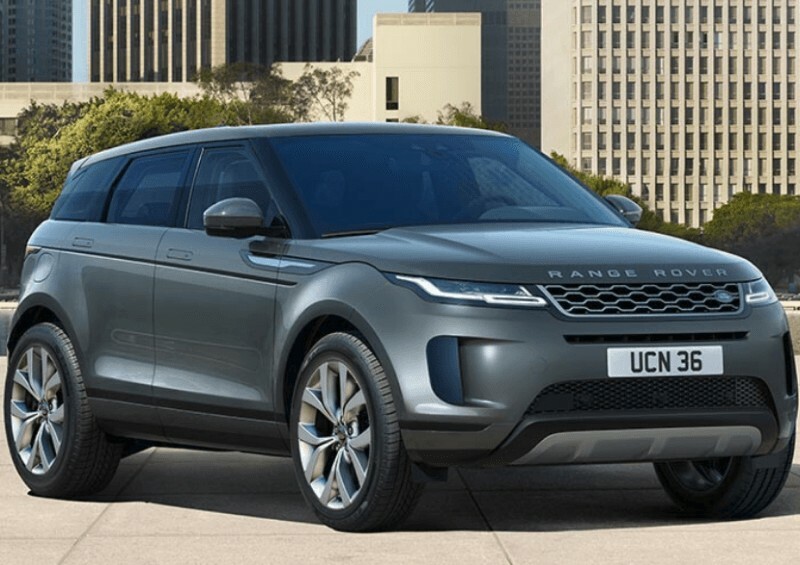 To find out more about our 2019 Evoque lease deals, get in touch with us now! For the new Evoque 2019, Range Rover promises ‘a confident and assured drive’, with ‘a fine balance of technology and luxury’ – all these aspects have most certainly been improved, so we’ll wait until we can drive it in early 2019 to see if it delivers what we’re promised. We’ll soon delve a little deeper into these modifications - we’d say that technology is the main area that’s been improved, but it’s what’s inside the new Range Rover Evoque 2018 that counts too! Let’s take a look. Adding to the flush door handles, window glazing and surface development of its exterior, the inside of the new Range Rover Evoque has definitely upped its game – it is even more modern, urban and luxurious than that of its predecessor. In addition to the modern interior design, the cabin’s infotainment also provides less clutter – there are definitely less knobs and switches to fiddle about with, so you’ll want to get comfortable with navigating your way around the Touch Pro Duo (two 10-inch touch screens) before driving (same with the Velar, Range Rover Sport and Jaguar I-Pace). All controls will be fairly familiar to those who already have experience of driving the old Evoque or Velar. So the inside is looking that bit sleeker, but has the room inside the new Evoque altered at all? The 2019 Range Rover Evoque remains compact, but the talent lies in the knowledge that there is, in fact, more space inside the SUV this time around. For starters, there is a bigger boot – around 10% bigger than that of the old model. To be precise, there is 591 litres of boot space inside the 2019 Evoque – which is bigger than the boot of an Audi Q5 (with the seats up). 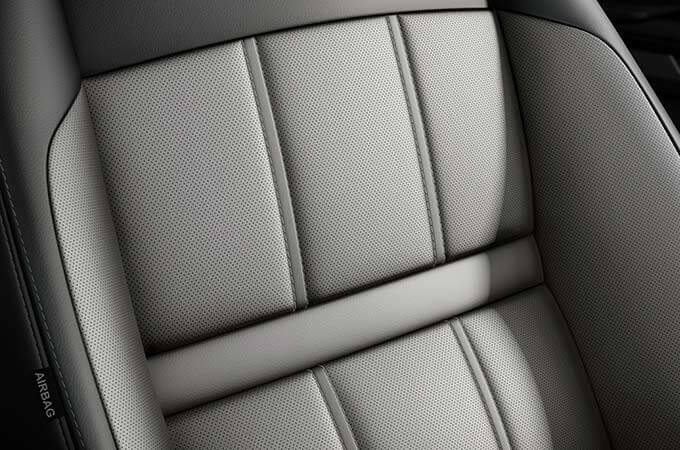 When the rear seats are folded down, however, it can extend to a whopping 1,383 litres (less than the Audi when its seats are down, but there’s no need to be picky). The wheelbase has increased by 20mm, meaning we have more legroom when sat in the back. As well as this, the front seats are positioned slightly differently this time, so you can stretch out those legs a little more. There is more space in the cabin and we even have bigger doors to make getting in and out even more of a breeze! In terms of size and weight, the Evoque 2019 is that bit shorter and heavier than the previous model. It’s heaviness is mainly due to the chassis, which is made from high-strength steel instead of aluminium, which Range Rover normally opt for. An aluminium chassis is usually larger as it requires a thicker structure, but of course, the new Evoque must remain compact - so heavy-duty steel it is! Those that have tested the car, haven’t yet been able to drive it out on the main roads, so we can only gauge its performance and handling from the feedback received so far. 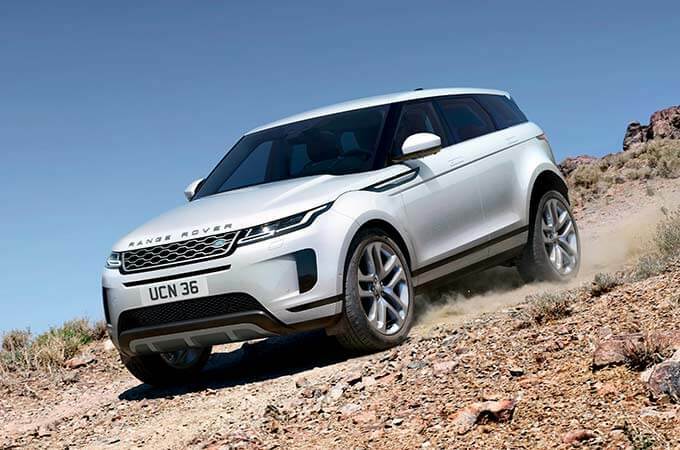 Overall, this four-wheel drive is easy to handle (usually, all Evoques are 4-wheel except for the entry-level manual model), sturdy on harsher grounds and really comfortable – as the driver’s seat is now in the perfect driving position. Technologically, the Evoque exceeds expectations – prepare to satisfy the geek that lies within! The new luxury SUV is still as excellent off-road as the old model was (or is). What’s new is Land Rover’s most up-to-date Terrain Response 2 system, which gives you a plethora of off-road modes to choose from. Additionally, it can automatically detect each surface you drive on and it adjusts the car for you accordingly. As well as bombarding about on bumpy terrain, the new and improved low-speed throttle response is excellent and ideal for when you’re driving at slower speeds. Next, behold the new 2019 Evoque’s ‘ClearSight’ technology; Ground View and Rear View. Starting with the ClearSight Rear-View mirror, it provides you with a much wider field of vision than a standard one – but how? So what about the ClearSight Ground View technology? Wait for it – there are cameras fitted in the doors and grille so that you can get a 180-degree view of what’s around the car, so you can see what’s coming and what surrounds you at all times – making parking a doddle and spotting any sharp rocks when off-road easy. Simply view it all on the central touchscreen! What’s even more special about these cameras is that they are not affected by dirt or water, so it’s suitable for all weather conditions. As for a true driving impression – we’ll have to wait until early next year when we can drive it on actual roads in the UK - exciting times ahead for us Range Rover lovers. How much is a new 2019 Evoque and when is it coming out? Orders of the new Range Rover Evoque are being taken right now with us at Complete Leasing, but delivery of the SUV won’t be until next spring, which really isn’t far away! The new model starts at £31,600 for the manual D150 S version. If you’re tempted to buy one, why not get an evoque 2019 lease quote from us, and make getting the brand new beauty more affordable? Even better! With many Land Rover Range Rover configurations available, the price will start to go up depending on the model and engine you choose. Have a look on Range Rover’s website and play about with the models and specs – design your own and check out the cost; it could end up more financially worthwhile to lease one with us. AWD petrol engines in 200, 250 and 300 bhp. All of these are two-litre engines, and all of the automatic transmission models have a mild-hybrid electric system (except the entry-level diesel engine), with a 48-volt starter-alternator – Land Rover’s first! This can be found in a battery underneath the driver’s seat - adding 75lb ft of electric low-rev torque to the vehicle, it recovers braking energy, so it’s great for low-speed driving and can also boost the car’s performance when it accelerates. Later in 2019, possibly 2020, a plug-in hybrid version will be launched, with a 1.5-litre three-cylinder engine and a battery that holds a larger capacity. When running only on electric, this PHEV model will just have a 30-mile driving range, which is perfect for those who drive short distances in and around the city! For more information on leasing the new 2019 Evoque, or if you’d like to know more about our many lease deals available (including short-term leasing), don’t hesitate to get in touch with us today. 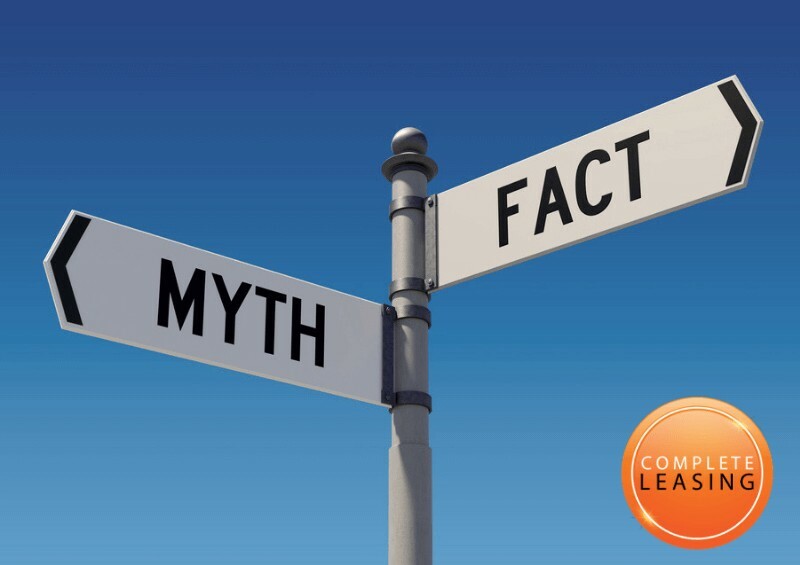 We’re always happy to answer any questions about car leasing, whether that’s personal or business vehicle leasing, and you are under no obligation with us. In the meantime, we’ll all eagerly await Range Rover’s new gem!